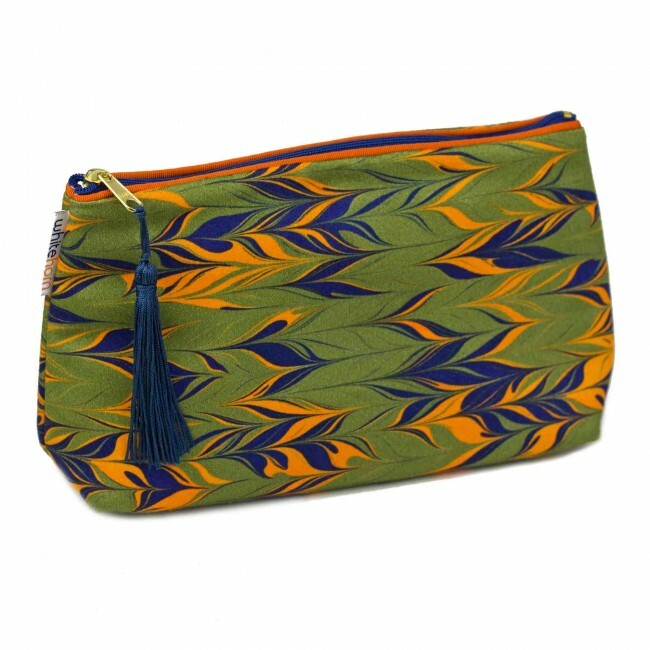 The Huron marbled cotton wash bag is camoflage green, navy and orange in colours. 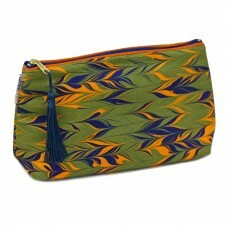 It has a burnt orange trim, a navy zip and a french navy coloured tassel on the zip. 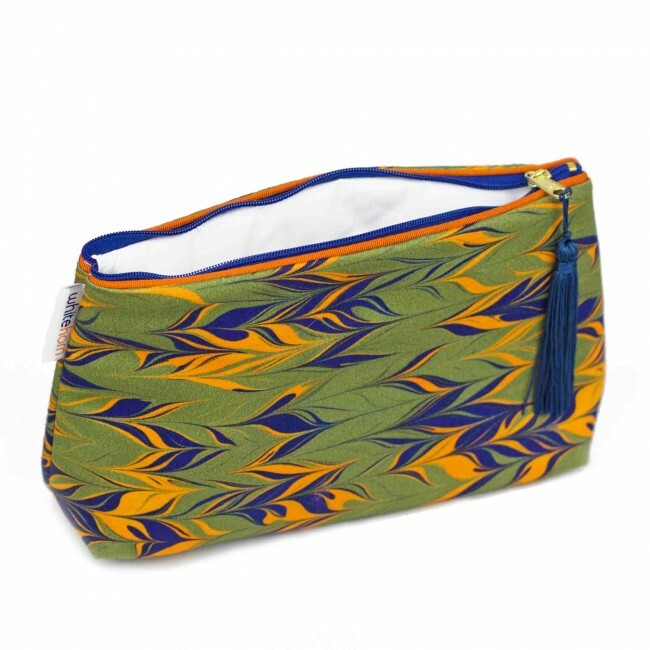 It is slightly padded and inside there is white waterproof lining.